Right now it may seem like an impossible task to go out on a date. You’re over 60 and a widower. Those two things don’t disqualify you from being in love. It only means that you may end up having to go out of your comfort zone. The idea of dating at first sounded like such a terrible thing. It’s starting to grow on you, and now you’re ready to make the first step. 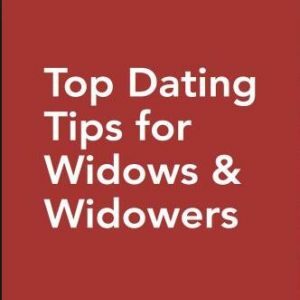 Here are five tips for widows over 60 that should help you start dating again. Dating after your spouse has died isn’t something you want to rush into. You will end up making poor decisions on who to date by being in too big of a hurry. Plus, you don’t want to cover up the hurt feelings that you’re going through right now. It’s natural for you to want to do anything possible to forget about the person you loved so much. Allow yourself to feel the pain and work through it. If you don’t know, you will eventually. It’s best to work through the pain and become stronger on the other side of it. You may feel guilty when falling in love with someone new. You never allowed yourself the entire time you were married to even think about being with someone else. You may feel guilty when the relationship grows. Don’t be surprised if it happens and talks about it. If you suppress it too much, then it’s only going to come back and bite you later on. If you’re falling in love with the right person, they’ll surely understand the difficulties you’re going through. A common mistake is that people want to get married again as soon as possible. Give it some time and allow each of you to get to know each other. Acting too hastily can have serious consequences. You may be lonely right now, but you’ll be miserable if the relationship goes sour fast. You also need to make sure that you’re falling in love for the right reasons. It’s easy to allow yourself to jump into it too quickly out of a sense of urgency and loneliness. You are going to want to talk about your dead spouse with whoever you date. That doesn’t mean you should continuously obsess about them. It merely means you can’t pretend that the fact you’re a widower isn’t real. The person you’re dating should know about who you were married to. Show them pictures of your deceased spouse and talk about the good times you had. Allow them to get to know your spouse through you. Trying to hold back isn’t a good idea even though talking about them may be painful at times. Fall head over heels for someone. Don’t hold back. Love is the most beautiful thing a human can experience. Don’t deny yourself the opportunity to experience it again. With that said, you always need to keep things in check. Pace yourself and make sure you’re falling in love with the right person. You’ll know when the time is right. Your gut is the perfect guide, and it will notify you the second you’re ready to be in love again. Once you’re ready, then let all the chips fall into place. Part of you died when your spouse did. There’s no denying that. But, you also need to understand this is a new chapter in your life. It’s up to you to make the next chapter as exciting as possible. You’ve still got plenty of living to do, and there’s nothing wrong with admitting that. It feels wrong at first, but it won’t forever. You’ll get to the point where you can fall in love again without feeling like you’re tainting your spouse’s memory.